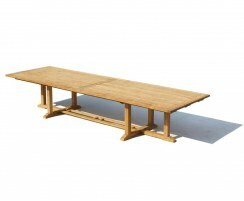 These 10 seater dining tables are ideal for use in homes, larger gardens or patios, and for commercial use in cafes, pubs, restaurants and so on. 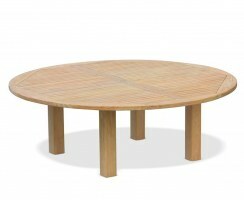 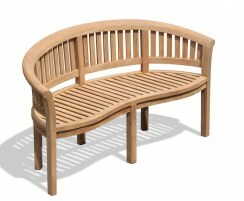 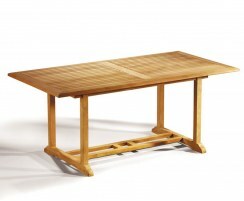 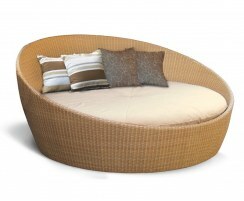 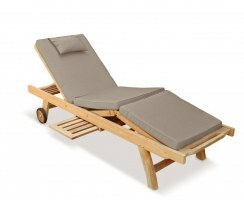 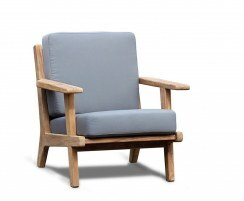 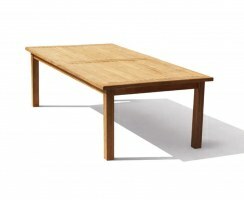 These durable, solid wood garden tables are robustly crafted from quality, sustainable teak hardwood. 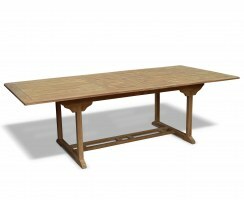 If you're looking for a strong, heavy-duty dining table for 10, look no further than the wide selection of extra large outdoor tables we have here. 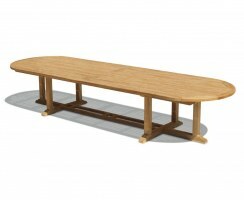 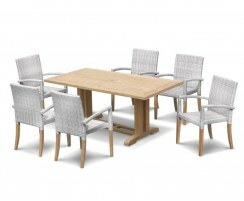 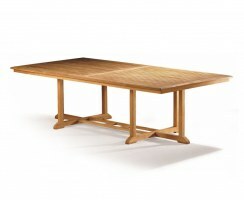 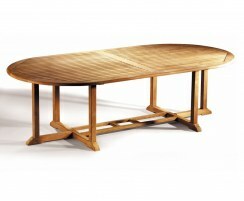 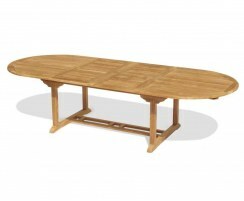 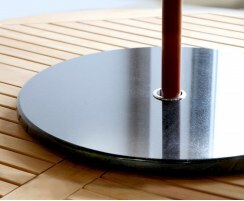 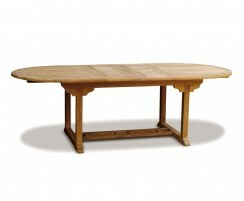 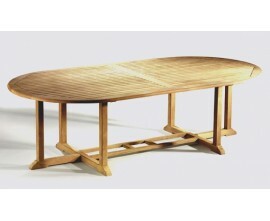 Our 10 seater dining tables are expertly handcrafted from quality, sustainable grade-A teak hardwood. 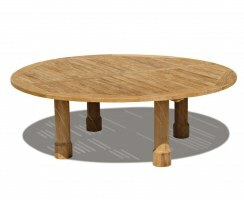 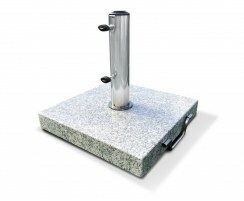 These strong, solid wood garden tables are robust, durable and can be left outside all year round in virtually any weather conditions. 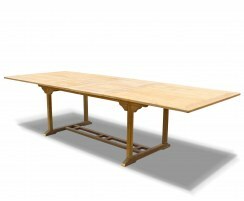 These dining tables for 10 have been built to stand the test of time, requiring only minimal maintenance – we simply recommend occasional cleaning to keep them looking their best.